512 pages, softcover in English with a short abstract in Finnish. 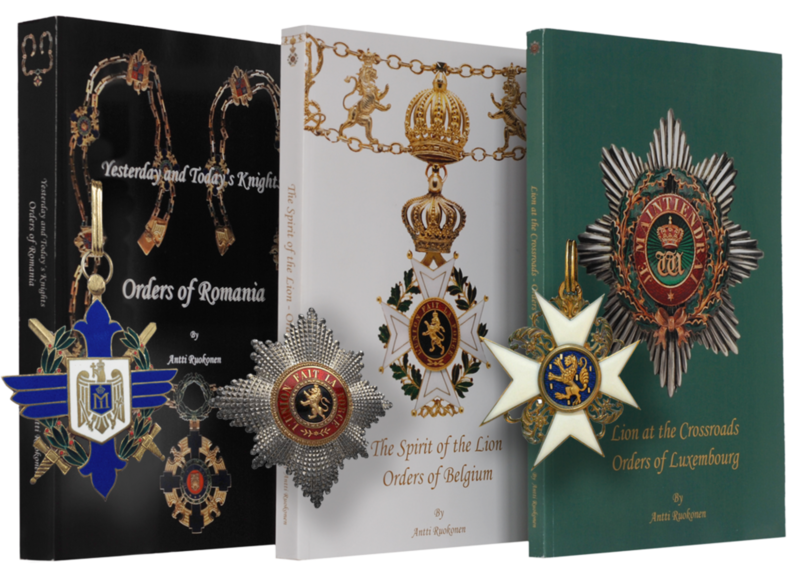 466 large format images of insignia, recipients, bestowal ceremonies, award documents, cases of issue and more. 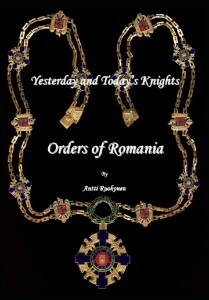 Describes all Romanian Orders from the eras of the Principality/Kimgdom (1877-1947) and the current Republic (1989-) and connected Decorations. Short biographies of a few select recipients. Sizeable appendix with award statistics.